The Fripp Island Community Centre and All Faith's Chapel grew from a dream. 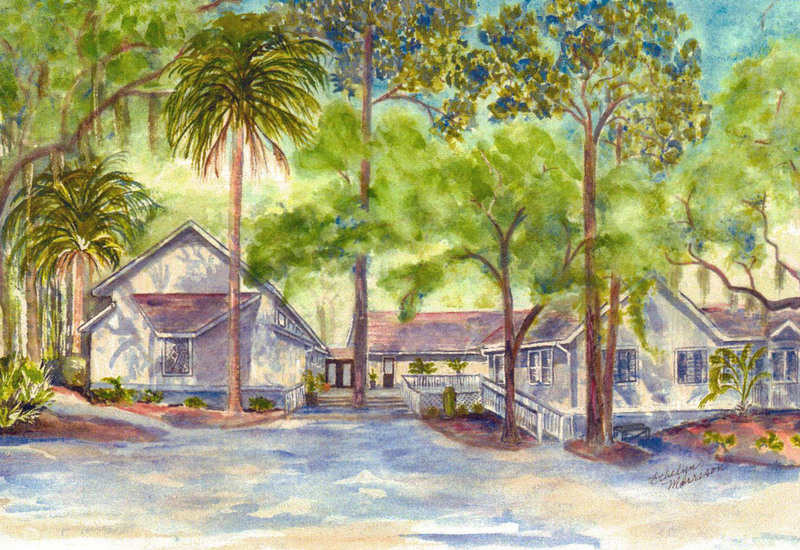 It is the only facility on Fripp Island that is completely owned and operated by the residents. This is the place where residents and visitors gather for weekly vesper services, meetings of community organizations, exercise groups, bridge games and special events. This is also where the community celebrates weddings and mourns the passing of friends. In 2006, the FICC Board undertook a fund raising drive to expand the Centre. The expansion was completed in 2008 and is now able to accommodate the needs and grow with the community. Please contribute to our 2019 Fund Drive. Click Here for details and a printable donation form.